Pilkhuwa is the hub of fashion that tells stories. 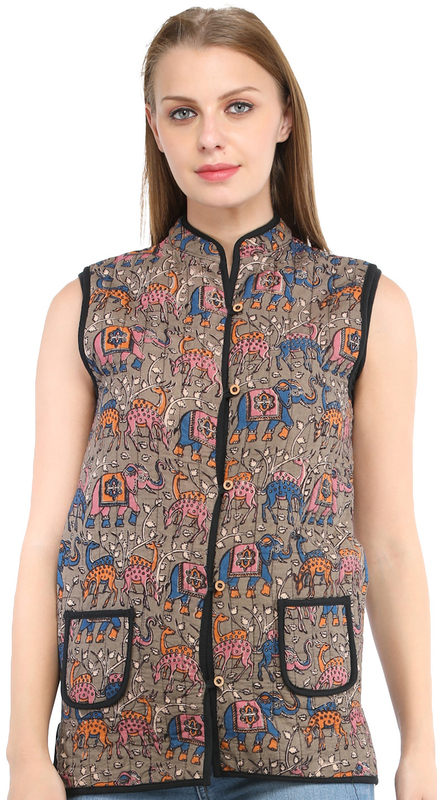 The luxuriant deers and elephants on this jacket would add artistic dynamism to your ensemble, while the elegant indigo of the reverse with delicate white etchings promise to gel well with both western and ethnic complements. Wrap yourself up in the soft, comforting cotton of the fabric and add a generous dose of Indianness to your attire.